Crisalix will participate in The Cutting Edge Aesthetic Surgery Symposium 2015 taking place at the Waldorf Astoria Hotel. 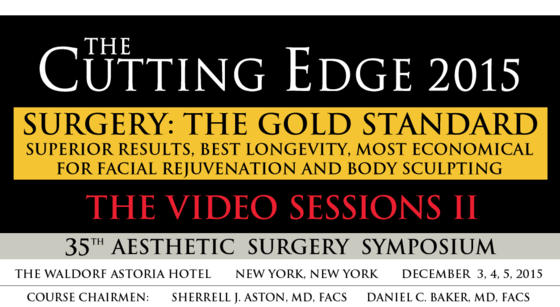 The Cutting Edge Aesthetic Surgery Symposium 2015: Current Concepts in Face and body Sculpting will take place in New York City on December 3-5, 2015 at the Waldorf Astoria Hotel. Chaired by Dr. Sherrell J. Aston and Dr. Daniel C. Baker this comprehensive course will be given over 3 full days.